Burton O.Lister, age 83, of Marysville, passed away on Thursday, June 7, 2018, at Cambridge Place in Marysville. Burton was born April 15, 1935 in Havensville, Kansas to Luther and Dora E. Lister. Burton attended school until the 8th grade when he then worked for his dad doing masonry work and helping at “Listers” bar on the square in Blue Rapids. When Burton turned 18, he moved to California for a short time where he lived with his brother, Martin. During that time, Burton purchased his “Martin” Guitar. In 1956, Burton traveled back to Kansas, then he and Maxine wasted no time catching a train in Hiawatha, headed to St. Louis, Missouri, where they enjoyed different venues, especially the music. This is where he was able to see “Bill Haley & The Comets” and just missed an encounter with Elvis Presley. Burton returned to Marshall County where he ultimately found work selling cars for Whiteway Chevrolet in Frankfort, then Boss Motors in Marysville, where he would later retire. Burton continued to pursue his love for music in helping out many new guitar players learn the basics. In 1965, Burton and two young boys in Marysville, (Doug Ryan and Mark Allerheiligen) started a band called “The Nite Crawlers.” The Nite Crawlers played at local bars and County Fairs. Burton played guitar with many groups but mostly played with Henry Borgerding (KANDY Cowboys). The Nite Crawlers would later come back to life in 1980 when Burton’s son Rick got the band back together. When not playing the bass, Burton would spend time on the lake or pond fishing for hours hoping to catch that one big bass or working on one of his old cars and maybe going to a car show. He loved his family and hearing about his grandkids and all their activities or sitting at his grandsons baseball game rooting him on from the stands. Survivors include his daughter, Debby Wessel of Blue Rapids, two sons; Richard Lister (Diane) of Blue Rapids and Mike Lister (Jennifer) of Marysville, six grandchildren and twelve great-grandchildren. Burton was preceded in death by his parents, brother Martin Lister and sister Margie Shove. Memorial services are planned for 3:00pm, Friday, June 15th, 2018 at Terry-Christie Funeral Home Waterville, Kansas with Mr. Rod Christie officiating. Music is to be provided by Mark Allerheiligen and will include “ In the Garden” & “I Saw the Light.” Honorary Bearers are; Greg Boss, Fred Behrens, Henry Borgerding, Don Cohorst, Doug Ryan, Mark Allerheiligen and Charles (Skinny) Land. Inurnment will be at Riverside Cemetery, Waterville. 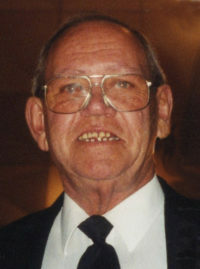 Memorials are suggested to the Burton Lister memorial and may be sent in care of Terry-Christie Funeral Home at P.O Box 61 Waterville, KS 66548.